The little boy was running down the narrow alleyway, past all that torn sad rubble, past the fresh market with the thousand shouting vendors and their thousand scents, and the call to prayer summoned all the holy merchants to their knees, and the evening pushed its better light upon the walls of all the buildings. The boy knew he would be late for supper if he didn’t run, and he had promised his mother he wouldn’t be late. But it was just a little further now. At the same time, an Israeli warplane was lifting off from the tortured dusty grounds of a military base. It headed towards Gaza. The sky between Israel and Gaza just a thick traffic of clouds from planes and rockets. Minutes passed. The boy arrived home just on time, just as the evening sun warmed his family’s blue front door. Then the stray sad dogs looked up and started barking madly, yelling at the sky. A flock of pigeons burst from their perch. Then everything was bright and horrific and deafening. The building to the family had been blown to bits. The streets were filled with running screaming mothers, children everywhere, a cathedral of rubble and agony behind them emerging from the ashen air. Another attack aimed at the Islamic militant group Hamas struck a Palestinian family instead. The Islamic militants have so far fired more than 1,200 rockets towards Israel, fueled by a several-decade feud over land occupation. Israel’s Iron Dome defense system has intercepted at least 150 of the missiles fired, resulting in its first Israeli death. As of July 15, after eight days of Israeli retaliation, at least 220 Palestinians have been killed. No major reports could be immediately confirmed about exactly who was killed, but the Los Angeles Times offered that about half of those deaths were women and children. The reports couldn’t be confirmed because the attacks were on civilians, not the Islamic militants themselves. In other words, a bunch of praying families in their homes. Israeli supporters call the innocents that have been killed ‘collateral damage,” meaning a mother or child or shopkeeper that may have been killed was simply in the wrong place at the wrong time. But collateral damage doesn’t exist in the storm of war. On July 16, an Israeli naval ship bombed and killed four Palestinian children playing on the beach in the Gaza harbor. When the remaining surviving children ran for cover, a second shell was reportedly aimed at them. The rockets being fired from Gaza are more like very banal forms of firework shows. Kids with sparklers could hurt more Israelis than Hamas militants. 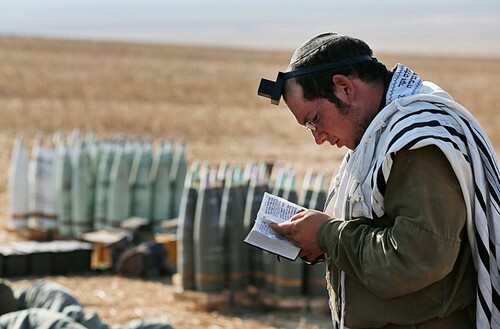 A 2012 analysis revealed that roughly 12,000 rockets fired over twelve years resulted in twenty-two Jewish deaths. That is, a kill rate of 0.175%. In 2013, of all the proud sparkling skies in the United States, an estimated 11,400 injuries were reported from fireworks. That is, when it comes to rockets, a drunken howling patriotism is possibly more threatening than the Hamas militants. As President Obama imposes new sanctions on Russia for their attacks on Ukraine, he ignores the significant threat of enduring war in the Middle East—US money and weapons. Since the Israeli state was formed in 1948, the United States has contributed more than $234 billion towards the stability and security of the state. Moshe Arens, former foreign minister and ambassador to Washington, puts it another way: “As a democratic country, the U.S. has good relations with other democratic countries, which have economic and military importance. In the past, during the Cold War period, Israel sided with the United States and today Israel is the best partner America has in the war on terror.” The best partner in the war on terror doesn’t just mean killing children playing on the beach, or killing eighteen members from the same family—it also means the Israeli children longing to “return to their ancient homeland,” something that the few remaining Native Americans surely empathize with the Israeli-dependent defense system. That is, $234 billion dollars to kill Palestinian families, to further divide the Middle East into a lawless arenaceous dystopia of broken gods in misery. That’s close to $6.5 million a week, every week, for six and a half decades. But the United States is not foolish with its money—it has already made some of that money back. In 2001 alone, the U.S. sold a hundred F16s to Israel for close to $3 billion. In 2013, it sold $10 billion worth of arms to Israel, Saudi Arabia, and the United Arab Emirates, “provid[ing] missiles, warplanes and troop transports to help them counter any future threat from Iran,” says the New York Times. In other words, the U.S. is giving Israel huge amounts of money so they can spend a little bit of that money buying an American military arsenal. The “threat from Iran” means the threat from some volatile Arab nuclear state. Nobody wants a nuclear war, except maybe Ann Coulter, who wants to corral all the Arabs and all the soccer balls together, and kill them or turn them Christian. But Israel might actually be worse than Ann Coulter. In May of 2010, the Guardian reported, “Secret South African documents reveal that Israel offered to sell nuclear warheads to the apartheid regime, providing the first official documentary evidence of the state’s possession of nuclear weapons.” Pretty much everyone wants the escalation of misery—it makes people happy. Israel is the American military’s ‘A’ student, as its sordid escalation of death is almost as good as death itself. Israel’s reaction against Hamas-dominated Gaza is something strikingly similar to the U.S. military’s Battle of Fallujah in March of 2004. Iraqi insurgents had ambushed a convoy of Blackwater USA, the private mercenary company now known as Academi, under the umbrella company Contellis Holdings, killing four American private mercenaries. The U.S. military responded by invading the city of Fallujah, under the name Operation Vigilant Resolve. It didn’t resolve much. It killed at least 600 Fallujahns, at least half of which of non-combatants. In violation of the Geneva Convention, the Marines closed both of the city’s main hospitals, positioning U.S. snipers atop one of the hospital’s water tower. It was a very patriotic moment for the military and for its taxpayers, as Sgt. Maj. William Skiles described it, “may the dogs of Fallujah eat hardy off our dead enemy.” And a few days later, when Paul Bremer announced a ceasefire, wanting to facilitate negotiations itself. And the stray dogs roamed the streets and chewed on all that enduring fatless misery. Israel is modern romance compared to Iraq. No American troops deployed. No bad press. A potentially endless war, requiring an endless arsenal of death, bought from the United States itself. But even the Iraq war was mature and thoughtful in its own right. By attacking a country preemptively, and wrongly predicting they had weapons of mass destruction pointed at the Americans, the United States would have made Niccolo Machiavelli like a proud young father staring down at his firstborn. Still bloody and screaming and blind, our umbilical cord has finally been cut. Now we can scream freely into all that florescent light above. After 500 years of our gallant heights of Western misery, the United States has turned Machiavelli’s prime written wisdom into the real thing. No matter how immoral, Machiavelli argued, the ends always justified the means for preserving and restoring political authority. By this philosophy, the four children playing on the beach really were collateral damage—they were in the way of the machine. And the family of eighteen really was not a decent enough substance against U.S.-made and sold F16s. Just as nobody knows why we really went to Iraq, and killed an estimated 500,000 of their men, women, and children, nobody really knows why the United States gives Israel so much money and so many weapons. “As for Israel,” says Obama, “our friendship is rooted deeply in a shared history and shared values.” This kind of vague sardonic torment of the human capacity for clear communication is something only Machiavelli could teach. Never reveal your true intentions, he wrote, and “act against mercy, against faith, against humanity, against frankness, against religion, in order to preserve the state.” And so another missile strikes. And the mothers scream. When New York Times, Pulitzer Prize-winning author Jared Diamond was asked what book he would require President Obama to read, Diamond answered with Machiavelli’s The Prince, because it illustrates that “we are not helpless in the hands of bad luck.” No we are not. The children playing on the beach are. The family of eighteen is. As are the rest of the 220 Palestinians killed so far. But across the desert there is a river running smooth and slow. And a little boy has run all the way from school to sit and watch the fish roam and sometimes look up at him. And he drops little pebbles in to see the fish turn their heads again. And the sun goes down near the horizon and turns the trees many colors, and the boy thinks to himself that he is very lucky to see all these pretty things. And then the sky turns completely white.